It might be true that the world has the trend associated with the home design. Many people are looking for the best home where they can live with their family. It can be very long journey for sure because buying the best home sometimes will not be enough. They still have to enhance their home and adjust it according to their current need. Different season will need different decoration adjustment for making sure that the home can be comfortable for the home residents after all. Choose the right furniture will be challenging when people are trying to create the best home in every season and every design trend after all. Since the trend can change very quickly, some people choose to keep it natural including for their home outdoor decoration. Natural decoration seems timeless and it can be perfect for every season. The natural decoration comes from the furniture choice after all including in the home outdoor decoration. The furniture for natural decoration comes from the right material and wooden material surely will be able to bring the natural look of the furniture easily. Hardwood will be chosen a lot for the furniture but people should make very specific choice with the hardwood for outdoor furniture. The outdoor furniture should be able to handle the extreme temperature change and other factors which can be destructive for common furniture which is placed indoor. 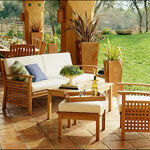 The best hardwood option which is loved for outdoor furniture is teak. Teak is very strong and durable. The longer it is used, the tougher it will be. 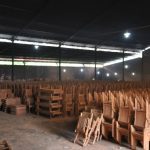 It seems like the teak furniture is getting more and more beautiful after used for long period of time. 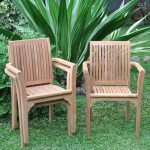 This can be the reason why many people are looking for teak outdoor furniture. 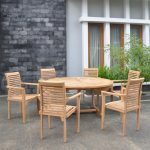 Finding the best teak outdoor furniture suppliers Indonesia is a must for making sure that people can get the best teak furniture for their outdoor decoration. 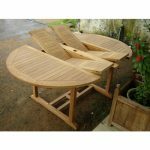 People can just place the furniture in the patio or in the middle of their garden for seating area but teak furniture will not only add the look but also the function of their patio and garden. The teak furniture can also be a great choice for the outdoor dining area which can enhance the dinner experience of the family and sometimes the guests. The best suppliers for teak outdoor furniture from Indonesia will be able to offer public with the teak outdoor furniture which the best material, craftsmanship, as well as finishing.